Welcome to the RNA Chemistry Laboratory website. We hope you find a lot of information that are of interest to you, especially publications of our group and the thermodynamics calculators. RNA is our daily research objective and we hope you'll enjoy this small ride on our web site. Since the central dogma of biology was first proposed over 50 years ago by Francis Crick, the commonly held view of RNA was that it was merely an intermediate in the flow of biological information. In particular, it was believed that information flowed from DNA, to RNA, to protein. Recent discoveries have revolutionized our understanding of how biological information flows and has lead to a dramatic reanalysis of the role of RNA. RNA has a greatly expanded place in our modern view of biology: as an information carrier, adaptor, regulatory agent (e.g. siRNA), enzyme, and much more. 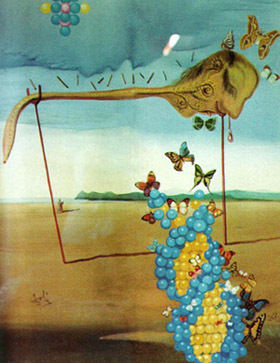 The variety of essential roles for RNA in the cell (enzymatic activity in particular), as well as the deep phylogenetic conservation of RNA sequence and structure, have lead to the proposal of an "RNA World" hypothesis, which posits that the primordial molecule of life may have been RNA. Thus, the study of RNA is a topic that is deeply satisfying in an academic sense, as well as vitally important for understanding biology and medicine. The Laboratory of RNA Chemistry incorporates the multidisciplinary skills necessary to approach the daunting task of unraveling the mystery of RNA. In particular, we utilize synthetic organic chemistry, molecular biology, bioinformatics and biophysical chemistry to answer interesting biological questions relating to the structure and interactions of RNA. These are not merely intellectual studies, as the information we gather and the tools we develop are likely to have applications with medical significance. We are aware of the vital need for combating emerging diseases, and devote significant effort towards investigating the possibility of targeting RNA, or using RNA in a therapeutic sense.